A recent article in The Washington Post by Morgan Stanley strategist and author of “The Rise and Fall of Nations” Ruchir Sharma, provides a nuanced overview of the issues of jobs, robots, productivity and income disparity. In the article, Sharma suggests that because the labor pool isn’t growing fast enough to support our needs, it may not be long before economists worry about a global shortage of robots to fill those needs. 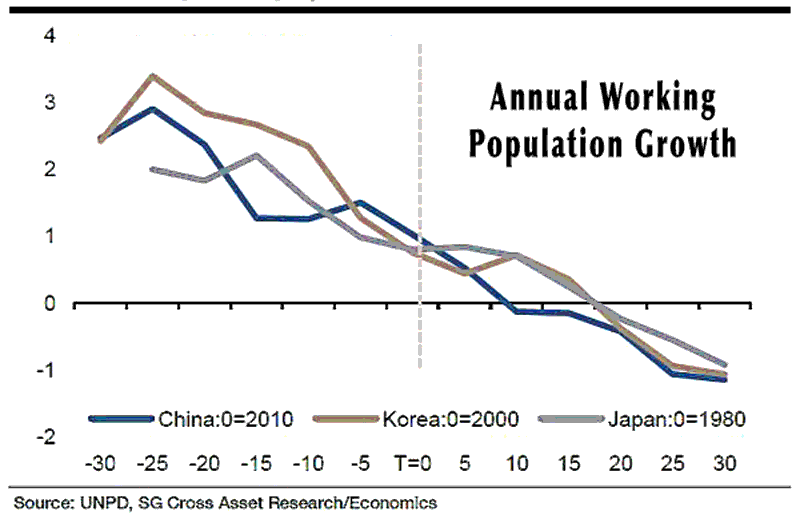 China’s working-age population growth just turned negative and China is expected to lose 1 million workers each year for the foreseeable future. Of those coming of working age, because of education and other social reasons, they don’t want to work in factories. China’s elderly share of the population is rising twice as fast as in the U.S. and four times faster than in France. Unlike France and the U.S. Given the widespread political backlash against immigration, compensatory immigrant increases to offset ageing workforces are unlikely. Strategic long-view planning such as that exhibited by the Chinese series of 5-year plans focused on bringing robotics to China, creating an in-country robotics industry, and expanding the use of robots to provide social assistance in addition to industrial production, is being replicated in Japan, Korea and throughout the EU. It remains to be seen how this will play out in the U.S.